The dandelion herb has been used for centuries to promote good health. It is full of vitamins, minerals, and other natural chemicals the body can use to overcome illness. Not only does it have medical uses, but it also has popular culinary uses. What Is The Dandelion Herb? Taraxacum officinal, meaning “the official remedy for disorders”, is a perennial herb with a long, brown taproot. The leaves are jagged and pointy. They grow close to the ground and outward from a central point. They are a dark green on the edges and a lighter green towards the center. The stems are light green to a dark reddish purple. The dandelion herb is thought to have originated in Europe and Asia, but it can now be found throughout the northern hemisphere, including the United States. 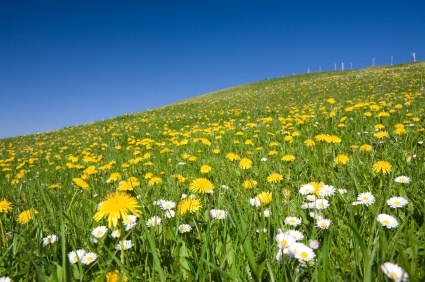 Most people consider the dandelion a weed, especially when it takes over their front lawn! However, it is also grown and cultivated for medical and edible uses. When used for medicine, the dandelion can be taken in powdered or liquid form. There are several ways to make a liquid dandelion extract. To make a tea, steep the dandelion in water. A tincture can be made by adding either alcohol or glycerin to the tea. If alcohol is used, the tincture is preserved for up to three years and it is absorbed more easily than if glycerin is used. However, glycerin tastes better. To make the powder, they use a low temperature distillation process that removes the active ingredients from the raw herb. The liquid is then condensed and dried to make a fine powder, which is put in gelatin capsules. The first recorded use of dandelion for medicinal purposes is from the Arabians around 900 AD; however, it is believed the Chinese were using dandelions long before that. Dandelion is believed to be one of the original bitter herbs used for Passover in the Bible. There are records of the Welsh using it in the 13th century. The pilgrims brought it to North America. In 1620, when the Mayflower arrived, there were no dandelions in America. By 1671, they were growing abundantly all over what is now the United States. They are also a good source of beta carotene, lutein, vitamin H, which has been proven to help weight loss, and over two dozen other nutrients. Dandelion greens add color and texture to salads, stir-fry, and soups. The greens are the leaves. It is best to harvest them in early spring, well before the last frost is expected. They need to be gathered before the flowers bloom or they will be bitter. The best time is when the leaves have just emerged. The root is also used for culinary purposes. It can be added to soups or ground up and roasted to make a drink similar to coffee without the negative side effects. The root of the dandelion is full of vitamins, minerals, and micronutrients, including inulin, which is helpful in controlling diabetes. Drinking dandelion coffee helps stimulate the digestive system. It is best to harvest the roots in early spring or late fall when most of the nutrients are stored there. The flowers are used for making dandelion wine and dandelion fritters. They are good for the antioxidant luteolin, which is found in them. Dandelion herb has been associated with improving liver function and liver diseases such as hepatitis and jaundice. It is a strong diuretic that does not deplete potassium in the body. It has been shown to improve both constipation and diarrhea. It purifies the blood, cleanses the digestive system, removes heavy metals from body tissues, and can help dissolve kidney stones. 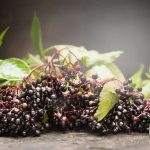 It has been shown to help weight loss, cure acne, lower high blood pressure, cure anemia, lower serum cholesterol levels, reduce acid indigestion and gas, improve some cancers, and help control diabetes all with no negative side effects. The dandelion herb is full of so many vitamins, minerals and micronutrients that alone might be the reason it is so beneficial in so many different areas. The sodium in dandelions is thought to reduce the inflammation of the liver. 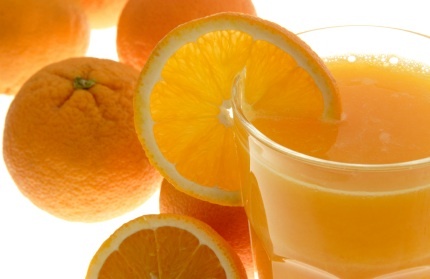 Vitamin A helps fight cancers in the mouth and the lungs. Potassium, along with magnesium, has been shown to help lower blood pressure and reduce the risk of stroke. Dandelions are full of both potassium and magnesium. The fiber in dandelions lowers cholesterol, is beneficial to diabetes, and fights cancer and heart disease. Calcium has been shown to build strong bones and reduce high blood pressure. B vitamins lower the effects of stress. Romanian lab mice lost 30% of their body weight in 30 days by taking a dandelion extract with their food. Along with all the vitamins and minerals in the dandelion, there are also numerous chemicals that are important in many bodily functions. Inulin is converted into fructose as it is digested. Fructose does not use insulin, which results in a slower rise in blood sugar making it ideal for those with diabetes or hypoglycemia. Tof-CFr is similar to lentinan, which has been proven to fight cancer cells in Japanese lab mice. Pectin helps diarrhea; it removes heavy metals, and lowers cholesterol especially if it is combined with vitamin C. The dandelion herb has both. Coumestrol mimics estrogen. It stimulates milk production and balances hormones. Apigenin and luteolin are diuretics, antioxidants, and antispasmodics. They have liver protecting properties and strengthen the heart and blood vessels. They are antibacterial and estrogen mimics. Gallic Acid helps diarrhea and is antibacterial. Linoleic and linolenic acid are fatty acids the body needs to produce prostaglandins that regulate blood pressure, suppress inflammation, regulate the menstrual cycle, and prevent platelet aggregation. Choline has been shown to improve memory. The dandelion herb has many sesquiterpene compounds that are thought to give it its bitter taste. These compounds promote good digestion, liver, spleen, and gall bladder function. They are also antifungal. Triterpenes are helpful for liver and bile stimulation. Taraxasterol is good for the liver and gall bladder. It also balances hormones. Dandelion is sold as capsules, tea leaves, powder, or tincture. Capsules are easy to take and have little taste. Teas can be enjoyable and relaxing, while tinctures are absorbed quickly. They are all good choices depending on preferences. Dandelion leaves average about $1 to $2 an ounce whether they are cut up or a powder and the capsules average about $8 for 60 capsules. Dandelion root is about the same for the powder, but the capsules are considerably cheaper, about $2 to $4 for 100 capsules. Moreover, the tincture can be found between $4 and $5 an ounce. To make dandelion coffee, the roots have to be roasted which will double the cost. Some good brands to try are Now, Yogi, Traditional Medicines, and Starwest Botanicals. A local health food store would be a good place to buy dandelion. If the internet is used, shop around because different sites frequently have sales. 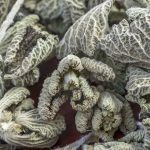 One good site to try is www.takeherb.com. The recommended dose for dandelion leaf tea is 1-2 teaspoons steeped in hot water 3 times a day. For dandelion root tea, the recommended dose is ½ -2 teaspoons steeped in hot water 3 times a day. Whether the capsules are the leaf or the root, the recommended dose is 500 mg 3 times a day. The recommended dose for both the leaf tincture and the root tincture is 100-150 drops 3 times a day. While there are no negative side effects from taking the dandelion herb, some people have been known to have allergic reactions to it, including a rash or mouth sores. If you are allergic to yarrow, iodine, ragweed, marigold, chrysanthemums, chamomile, or daisies, you should avoid taking dandelion. Dandelion might cause stomach acid or heartburn in some people. If you have gallbladder problems or gallstones, you should consult a doctor before taking dandelion. Dandelion is a diuretic and may cause your body to expel any drugs you are taking faster than normal. Consult a doctor if you are taking Lithium, quinoline antibiotics, and antacids like Pepcid, Zantac, and Taganet. Naphthoquinone is a fat-soluble vitamin. It is an organic compound that has the formula C10H6O2. It can be viewed as derivatives of naphthalene through the replacement of two hydrogen atoms by two ketone groups. It is a yellow crystalline substance that is related to quinone, procurable by oxidizing naphthalene with chromic acid. Naphthoquinone has an odor similar to benzoquinone. It is slightly soluble in cold water and petroleum ether. It is soluble in most polar organic solvents. Naphthoquinone derivatives possess anti-bacterial and anti-tumor properties. 1,4-naphthoquinone derivatives occur naturally in the form of vitamin K.
The “K” in vitamin K comes from the German work “koagulation.” Coagulation refers to the process of blood clotting. Vitamin K is a group of vitamins (K1, K2, and K3) which promote clotting of the blood. They are a class of compounds that contain the naphthoquinone structure. Vitamin K regulates normal blood clotting and prevents hemorrhaging. The anti-hemorrhagic factor in vitamin K and its synthetic analogues have a specific effect on prothrombin deficiency. Vitamin K increases the synthesis of prothrombin, which is a blood-clotting protein, by the liver. There are two types of vitamin K found in nature. Vitamin K1 or phytonadione is found in plants, and vitamin K2 or menaquinone can be synthesized by multiple bacteria. Vitamin K3 or menadione is not considered to be a natural vitamin K.
The group of vitamin K vitamins have a methylated naphthoquinone ring structure. The naphthoquinone is the functional group, which makes the structure of action similar in all K-vitamins. The lipophilicity of the various side chains and the different food matrices in which they occur cause the differences in each of the vitamins. Vitamin K1 is a form of vitamin K. It has the chemical name 2-methyl-3phytyl-1, 4-naphthoquinone. It’s compound formula is C31,H46,O2. It is a clear, yellow to amber, viscous liquid that is odorless or almost odorless. It is one of the oil-soluble vitamins found in green plants and prepared synthetically. It is soluble in chloroform, but insoluble in water. It is used as a prothrombinogenic agent. Vitamin K1 was named phylloquinone because it is an indirect product of photosynthesis in plant leaves. 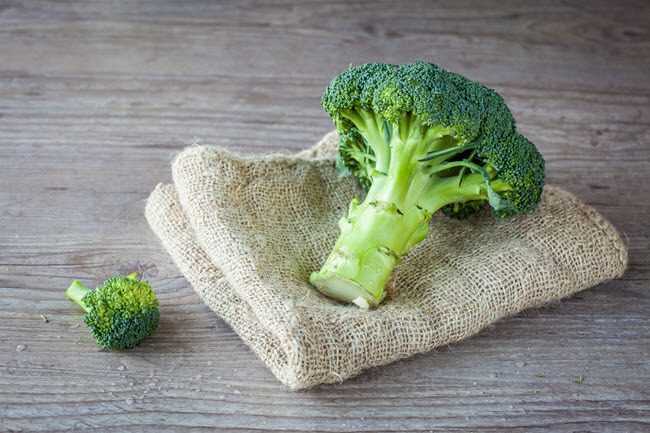 Vitamin K1 is found in green vegetables such as spinach, broccoli, avocado, brussel sprouts, kale and cabbage, cauliflower, kiwi, alfalfa and some vegetable oils, or it can be made synthetically. It can be given orally to treat prothrombin deficiency that may result from anticoagulant drugs. Vitamin K2, also known as menaquinone, has the chemical name 2-methyl-3-difarnesyl-1, 4-naphthoquinone. It’s compound formula is C41H56O2. It is a naturally occurring vitamin that is found in various large intestine bacteria. Vitamin K2 helps activate vitamin K dependent proteins responsible for healthy tissue and bone. 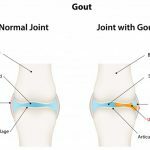 It helps to activate the protein, osteocalcin, which is required to bind calcuim to the mineral matix, which strengthens the bones. It is found in sources such as butter, eggs, cow liver, cheese and fermented products. Vitamin K3 is also known as menadione. It has the chemical name 2-methyl-1, 4 naphthoquinone. It’s compound formula is C11H8O2. It is a bright yellow crystalline powder that is soluble in vegetable oils. It is a synthetic analogue that acts as a provitamin. It is used as a vitamin K supplement. Menadione is necessary for the production of prothrombin and other blood clotting factors. 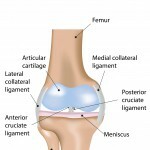 It can also help regulate the calcification of bones. Too large a dose of vitamin K3 can cause serious problems, and even death. Vitamin K and all other liposoluble vitamins are stored in the fat tissue of the human body. A vitamin K deficiency in healthy adults is not common, however, there is an increased risk of a deficiency in newborn infants. Also, infants who are breast-fed are at a higher risk for a vitamin K deficiency. Adults who take anticoagulant drugs or individuals who have liver damage or disease are at a higher risk of vitamin K deficiency. Individuals who suffer from cystic fibrosis, inflammatory bowel diseases or have had recent abdominal surgeries may be at a higher risk for deficiency. Individuals who have a problem with intestinal absorption of fats may also be at an increased risk of vitamin K deficiency. Individuals who have strict diets or have eating disorders, such as anorexia or bulimia, may suffer from secondary vitamin K deficiency. Some drugs also interfere with vitamin K deficiency such as salicylates, barbiturates, and cefamandole. Vitamin A and vitamin E have been shown to interfere with vitamin K if they are taken in large doses. Vitamin A may effect the absorption of vitamin K and vitamin E can inhibit vitamin K dependent carboxylase enzymes. There are no differences in the causes of deficiency of vitamin K between men and women. Some of the symptoms of a vitamin K deficiency in the body include bleeding and bruising easily, gastrointestinal bleeding, nose bleeds, bleeding gums, the presence of blood in the urine, blood in the stool, tarry black stools, and abnormally long or heavy menstruation in women. Vitamin K deficiency in infants may result in a bleeding disorder, vitamin K deficiency bleeding (VKDB), that is life-threatening, but easily preventable. Because VKDB is preventable, the American Academy of Pediatrics recommend that an injection of vitamin K1 or phylloquinone be given to all newborn babies. Human milk is low in vitamin K, however, baby formula tends to be much higher in the content of vitamin K.
Because of the occurrences of vitamin K deficiency bleeding in newborn infants, the Committee on Nutrition of the American Academy of Pediatrics recommends that 0.5 to 1.0 mg of vitamin K be administered to newborns once they are born. Adult males 19 years and older should have 120 mcg/day. Females 19 years and older should have 90 mcg/day. A woman 19 years and older that is pregnant or breastfeeding should have 90 mcg/day. A woman 18 years and younger that is pregnant or breastfeeding should take 75 mcg/day. There is no known toxicity associated with high doses of vitamin K1 or vitamin K2. However, vitamin K3, a synthetic form of vitamin K, has been proven to be toxic. It can interfere with the function of glutathione, one of the body’s natural antioxidants. The FDA has banned menadione, or vitamin K3, from over-the-counter supplements because large doses can cause allergic reactions, induce liver toxicity, jaundice and hemolytic anemia. Studies of vitamin K suggests that it may play a potential role in bone density changes. In Japan, a form of vitamin K2, called menatetrenone, has been used to treat osteoporosis. However, this type of treatment is controversial. 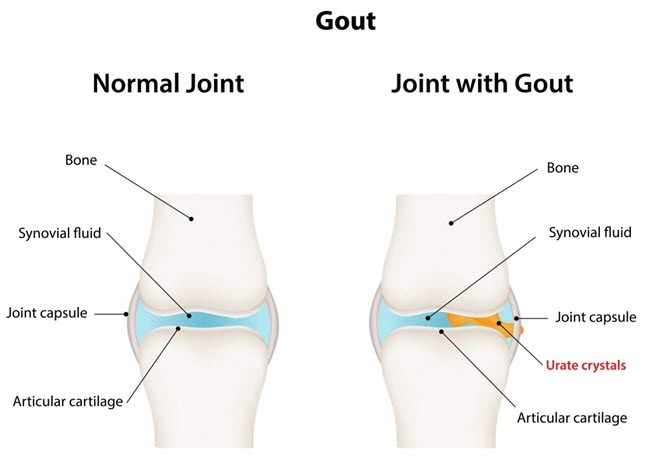 The United States is currently conducting their own studies of the relationship between vitamin K2 and bone health. The latest studies are showing a positive corrolation between vitamin K intake and osteoporosis. People taking Warfarin, an anticoagulant, may need to take extra vitamin K. Warfarin prevents the recycling of vitamin K, which reduces the levels available to the body. This can contribute to weaker bones and increased fractures. 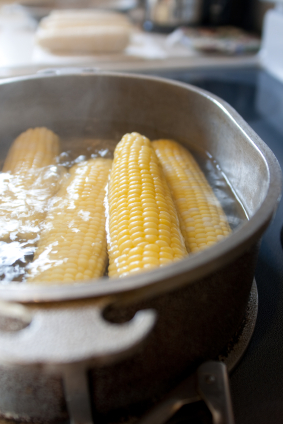 New studies are suggesting that vitamin K may play a crucial role in cardiovascular health. Vitamin K2 is needed for activating the protein matrix Gla-protein, which is an inhibitor of vascular calcification. When enough vitamin K2 is present it can help prevent calcium buildup in blood vessels that assist in vascular disease. Patients who take Warfarin to prevent blood clots that can trigger heart attacks and strokes, may need to supplement with a low dose of vitamin K.
Research has also shown that vitamin K may reduce neuronal damage and that giving vitamin K supplements to Alzheimer’s patients may have benefits. However, more research is needed to find out the specifics. Scientific evidence and research do not support the use of vitamin K for the prevention or treatment of cancer. A small clinical trial, however, found that a similar vitamin 2 compound may help reduce the recurrence of liver cancer after surgery. Some studies have suggested that a low vitamin K intake may increase the risk for certain types of cancers. A 2008 published European study found that men with a low intake of some forms of vitamin K are at a higher risk for prostate cancer. A Japan study suggests that vitamin K may lower the risk of developing liver cancer in women who have cirrhosis of the liver. Some alternative medicine practitioners use vitamin K3 as an anticancer supplement, and others claim that taking high doses of Vitamin K3 and Vitamin C may inhibit tumor growth. However, there is not any scientific evidence to support these claims. Some studies in mice have shown that vitamin K may slow the growth of cancer cells. More clinical studies will need to be done on humans to determine the role in which vitamin K may have on cancer. Vitamin K, if applied topically, may help diminish bruising from postoperative procedures, scarring, redness caused by broken blood vessels, rosacea, skin irritations such as burns and sunburns, dark circles under the eyes and aid in the fading of hyper pigmentation. Ocular histoplasmosis is a fungal infection of the lungs that can travel to the eyes. This is commonly contracted in the United States; approximately 90 % of individuals living in the southeastern United States have developed this specific type of infection. Sexually transmitted infections (STIs) such as Chlamydia, gonorrhea, or herpes can cause infections and visual damage. The infection can get into the eye through genital fluids or if the eyes are rubbed after handling infected genital areas. Shingles are a chronic, reoccurring infection that causes chickenpox. 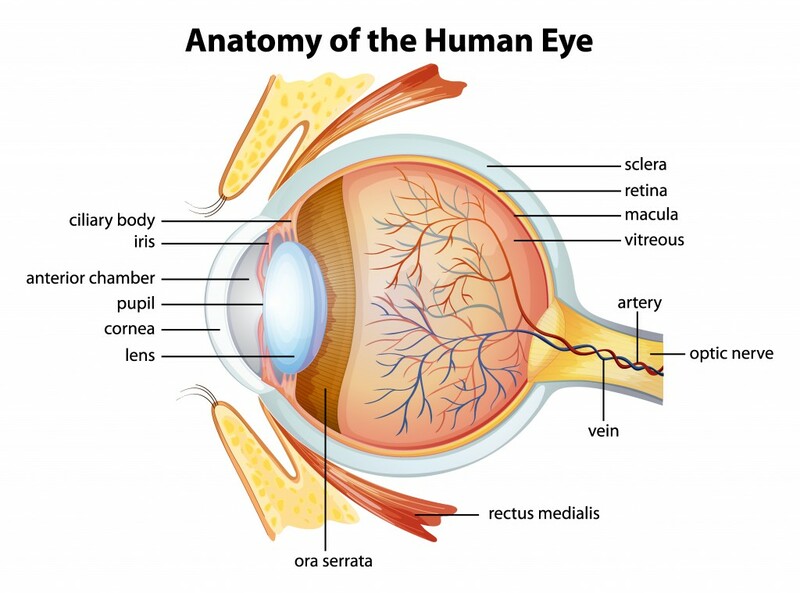 After touching an open sore then touching the eye, the infection can move into the eye. Over 50 % of people who have singles will have an eye infection as a result of the infection. Diagnosis for eye infections can vary based on the cause of the infection. Often for bacterial infections, a swab of will be taken to identify the bacteria and the best treatment options. Viral cultures may be collected and tested, especially if the infection is seen in clusters throughout the eye. A doctor may do a conjunctival scrape in order to detect fungal infections or infections based on common STIs such as Chlamydia. The side effects for medications such as steroids and antibiotic ointment and drops include redness, irritation, burning, stinging, nausea, fatigue, and mild itching. Over-the-counter treatments typically have fewer side effects, which include burning, stinging, redness, and irritation. Home remedies can be an easy, inexpensive, and effective solution to reducing the symptoms and curing uncomfortable eye infections. These remedies work best for infections caused by debris or allergies, but can also work with viral and bacterial infections. Boric acid, a weak and water-soluble acid, is easily found in supermarkets or drug stores. Occurring naturally in many fruits, vegetables, and other plants, boric acid serves as an antifungal, antiseptic, and eyewash. While boric acid is an acid, it is extremely mild and little side effects have been reported. A slight stinging or burning may occur with use. Do not use Boric acid ophthalmic if you are allergic to boric acid. Also avoid indigestion or use near open wounds. Flaxseed is rich in omega-3 fatty acids, which are known to reduce the body of free radicals and stimulate the immune system help to fight infection. Boil a half-cup of water and add an ounce of bruised flaxseed. Allow the mixture to steep for at least 15 to 20 minutes. 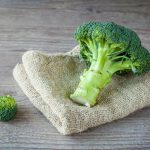 Strain the excess water and place the warm flaxseed onto a clean washcloth, cotton square, or piece of cheesecloth and apply directly to the eye. You can repeat this process up to 3 times a day until symptoms are gone. The flaxseed works to reduce inflammation and soothe the pain in the eye. Do not use this remedy if you are pregnant. There have not been enough studies to show the effects of flaxseed on the fetus. Tea bags can work to soothe the eye and reduce redness and swelling. Typically, black tea is used but other types of tea such as green or white may be used. Start by boiling the tea bags in hot water. Allow the bags to cool and place one bag the affected eye for 10 to 15 minutes. You can use the tea made by the bags and water as an eyewash and wash your eye out in the lukewarm mixture before applying the teabag compress. Repeat up to 3 times a day until bothersome symptoms of the infection are gone. Some people have reported a slight burning or stinging associated with using tea as an eyewash. If this occurs, stop immediately stop using the tea to clean the eye. Chamomile is known for its soothing and calmative properties. Boil 2 chamomile teabags with 3 cups of water. Allow to cool and apply the chamomile tea to the eye – with freshly washed hands – 3 to 4 times a day. You can also dip a clean washcloth in the tea and apply to the eye as a compress for 15 minutes. This will help to reduce redness and irritation associated with the eye infection. Some burning, stinging, and redness has been reported with the use of this remedy. Cases were mild and lasted shortly. If these side effects persist or are too bothersome, do not continue to use this cure. Honey has many antibacterial properties and can help to kill the harmful bacteria in the eye. There are several different ways honey can be used to treat eye infections. The first way is to mix equal parts honey with boiled water. Mix the honey and water thoroughly and allow to cool. Using a clean washcloth or cotton balls, apply the solution to the eye. You can use the cloth of cotton balls as a compress and leave on the eye for 15 minutes. This solution can be used as eye drops or an effective eyewash; simply use 2 to 3 times a day until symptoms have cleared. 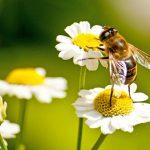 Another great way to use honey to treat eye infections is to boil 3 cups of water with a few eyebright flowers, which can be purchased at local health food stores. Add 3 tablespoons of honey to the water and eyebright and stir. Allow to cool and apply to the eye with a clean washcloth or cotton balls. This mixture can also be used as an eyewash. The final way to use honey to help reduce eye infections is to apply a small amount of honey directly to the eye. Do not dilute the honey; applied directly to the eyes, the honey binds to any dirt, debris, or discharge in the eye, cleaning the eye safely and effectively through natural tearing. Jasmine flowers mixed with boiled or distilled water reduce inflammation, redness, and irritation associated with eye infections. Simply fill a clean glass jar with boiled or distilled water and 8 to 10 jasmine flowers. Cover the jar and allow it to sit over night. 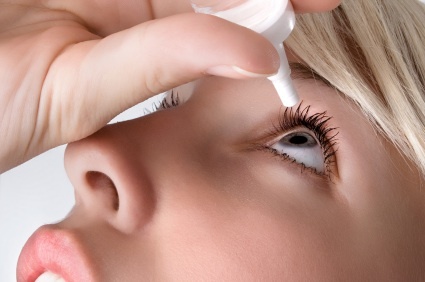 In the morning, gently stir the mixture and apply to the eye with an eyedropper 1 to 3 times a day for 3 days. After applying the jasmine water eye drops, you can soak a clean wash cloth or cotton balls in witch hazel and apply to the eye as a compress. Set on the eye for 15 to 20 minutes. Another home remedy requires you to simply dilute a small amount of tearless baby shampoo in water. Using a clean washcloth or cotton balls, gently apply the mixture to the eye and eyelids. This helps to clean out any debris in or around the eye. For best results, wash eyes with the baby shampoo mixture twice a week. Nasal congestion, also known as stuffy nose or stuffed up nose, nasal blockage, blocked nose, or nasal obstruction is a condition that exists when the nasal passages’ membranes, ranging from the exterior nares or nostrils to the interior nares also called choana, become swollen and irritated from inflamed blood vessels in mucosal membranes. Although they may occur separately, nasal congestion and rhinnorrhea or runny nose, often occur together. Nasal congestion is usually accompanied by excess mucous occurring in the nasal passages as well. However, this may be true occasionally, but it is not the most common reason why the nose gets congested. The most common cause for a stuffy nose is that the tissue lining it (mucous membrane) becomes swollen, usually due to some sort of irritation. 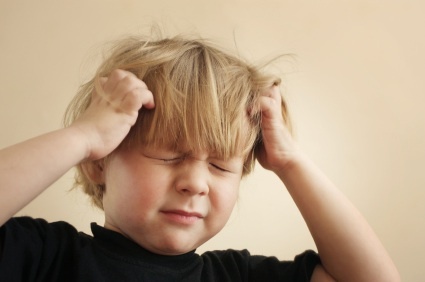 For most non-infant children and adults, this is commonly more of an annoyance than a serious condition. However, for newborn infants, breathing through the nose is crucial and nasal congestion in the first months after birth could interfere with nursing and possibly cause serious breathing difficulty. Nasal congestion is an abnormal physiological condition that should not be confused with the human nasal cycle. During a twenty four hour period, the human nostrils will take turns being engorged with blood and swelling, and then shrinking so that only one nostril is working at a time. This cycle of switching from one nostril to another occurs about every four hours and is a normal human physiological process. The symptoms of a nasal congestion may include an itchy, tingling, or burning sensation inside the nasal passages. Of course, the most obvious symptom is the gradual increase of stuffiness or blockage to the nasal passages. More often than not, nasal congestion itself is considered as a symptom rather than a malady or disease. Although nasal congestion is often more of a symptom than a disease in itself, there are certain factors that can be considered predispositions to nasal congestion. 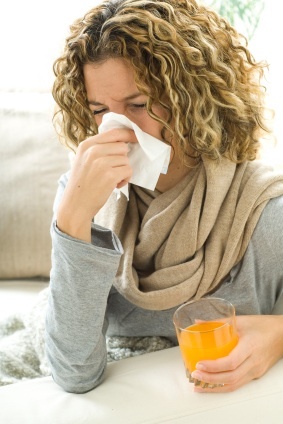 Individuals that are prone to frequent sinus infections or upper respiratory infections whether they are bacterial, viral, fungal, or parasitic in nature will often be prone to nasal congestion. Allergy sufferers can expect bouts with nasal congestion. Of course, not all individuals react to allergens in the same manner, but those who suffer from frequent and ubiquitous allergens (such as dust for example), are more susceptible to developing nasal congestion as a histamine reaction than those who do not suffer from allergies. Certain anatomical conditions can be considered risk factors for nasal congestion. One of the most common of these is a deviated septum. A deviated septum can cause nasal congestion in one or both nasal passages or nostrils. This condition is usually even more noticeable if the sufferer has a cold. A deviated septum can be congenital (present at birth) or created due to some physical source such as a sports related injury or nasal inhalation of narcotic drugs. Another anatomical condition that could be considered as a risk factor for frequent nasal congestion in inflamed nasal polyps or other nasal growths that are benign or malignant. Even enlarged adenoids can be a risk factor for nasal congestion. Interestingly, prolonged or excessive decongestant use can cause nasal congestion when stopped. This is due to the membranes in the nose trying to return to a normal state and overcompensating along the way. This is often referred to as a “rebound” effect. It is difficult to prevent nasal congestion without knowing the causal factors responsible for creating the condition. However, there are some steps that can be taken to reduce the risk factor or at least reduce the frequency of nasal congestion. 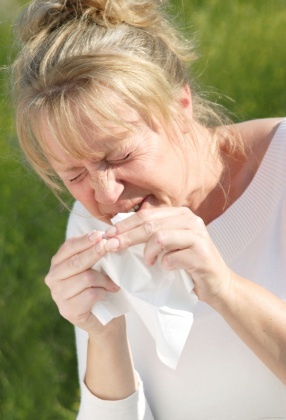 Individuals with allergies should try to avoid allergens as much as possible. In addition, allergy immunotherapy (allergy shots) may help prevent nasal congestion due to allergic responses. Avoiding irritants (such as cigarette smoke, chemicals, etc.) may also prevent bouts of nasal congestion. Nasal congestion is easy to diagnose, however determining the underlying cause may be more difficult. Your physician will be able to determine the cause of your congestion upon a physical examination. Normally, a primary care physician will examine your nose with a nasal speculum or otoscope and a penlight. However, this procedure cannot provide a comprehensive view of the entire nasal passage, but is often all that is needed to make an accurate diagnosis. If the primary care physician has suspicion to think that the nasal congestion is caused from a situation that requires a more comprehensive diagnostic procedure, the may refer the patient to an otolaryngologist or ear, nose and throat (ENT) physician. In addition to the above mentioned diagnostic procedure, an ENT may order a CAT scan (Computerized Axial Tomography) of the sinuses or may perform an endoscopic examination. A CAT scan will provide x-ray views in slices or cross sections of the sinuses and nasal passages providing a detailed view of the area. An endoscope is basically a narrow tube with a camera on one end that allows the ENT physician to look deeply into the nasal passages. If a physician has reason to believe a stuffed up nose is caused by a bacterial, viral, or fungal infection, a sample culture swab may be taken to determine the exact cause of the infection. Nasal congestion can be treated in a variety of ways including non-pharmaceutical, pharmaceutical, and herbal options. Non-pharmaceutical treatment (sometimes called home remedies) for nasal congestion is often desired when pharmaceutical methods could cause undesirable side affects or the condition does not respond well to pharmaceutical therapy. Drink plenty of fluids. Warm drinks such as broth and tea for example may help by not only providing fluid but by warming the nasal passages. Use a gentle over-the-counter saline (salt water) spray or a neti pot. Increase the ambient humidity of the air around you by using a vaporizer or humidifier. Keeping the head in an upright position may be helpful as well. Nasal congestion often increases when the head is in a prone or supine position. Try using adhesive strips to widen the nasal passages. Most pharmacies sell a plastic adhesive strip that is place on the nose. Although it will not cure the underlying cause of nasal congestion, the adhesive strips work by helping to enlarge the nasal passages making breathing easier. 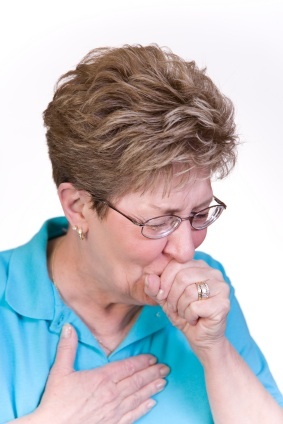 Inhalers may be helpful in relieving nasal congestion. Inhalers can be commercially manufactured or inhalation therapy can be performed by pouring hot water in a bowl and inhaling the steam vapors that rise off from it. Many herbal agents can be used as inhalants. Eucalyptus oil, peppermint oil, spearmint oil, and menthol are just a few that have proven successful for many people. Even the smell of a freshly cut onion can have powerful decongestant effects. Pharmaceutical treatment options for nasal congestion are numerous. Pharmaceutical therapies available for congestion can be classified into over-the-counter and prescribed chemical therapies. Regardless of the pharmaceutical that is used, there are basically two methods of action by the chemical agent. Most chemicals are either an antihistamine or a vasoconstrictor. An antihistamine inhibits the effects of histamine in the human body. Histamine is produced as an allergic reaction to an allergen; it triggers a response of inflammation. By blocking or reducing the effect of histamine an antihistamine in effect blocks or reduces the inflammation response preventing the nasal passages from becoming congested. A vasoconstrictor shrinks the blood vessels. Nasal decongestant vasoconstrictors cause the blood vessels lining the nasal passages to shrink, thereby relieving congestion. Nasal decongestants and antihistamines can be administered orally (pill, tablet, or capsule) or can be in the form of a nasal spray. Most oral antihistamines share the same list of possible side effects, however some specific chemicals may have side effects that are particular to that drug. Almost all antihistamines share a common side effect of drowsiness; however loratadine and cetrizine have demonstrated lower percentages of patient somnolence than many of the other antihistamines listed. Additional side effects from anithistaimes can include dizziness, headache, loss of appetite, stomach upset, vision changes, and dry mouth. If you have any questions about whether an over-the-counter medicine is right for you, or about what potential harmful side effects they could cause it is best to seek professional medical advice. Phenylephrine – although phenylephrine is usually not sold alone, it is one of several ingredients often found in OTC cold/flu remedies. In fact with the curtailment of pseudoephedrine use in the U.S. due to methamphetamine use, phenylephrine has become the most popular decongestant. Both pseudoephedrine and PPA are vasoconstrictors. They cause the blood vessels in the lining of the nasal passages to shrink; however, they do not specifically target these blood vessels. They may cause any of the body’s blood vessels to shrink. Normally this is not significant but can result in tachycardia, difficulty sleeping, tremors or shakiness, dizziness, and unusual weakness. PPA particularly was removed from OTC sale by the FDA in 2005 due to the possibility of stroke when used by young women. As with the antihistamines, if you have any questions about whether an over-the-counter medicine is right for you, or about what potential harmful side effects they could cause it is best to seek professional medical advice. Side effects from nasal decongestant sprays not only include those already listed above for oral nasal decongestants but may also include burning, stinging, sneezing, and increased nasal discharge, excessive drying of the nostrils, and altered taste sensations. As for the OTC solutions, prescriptions medications follow the same parallel. That is, most prescriptive medications for nasal decongestants are either antihistamines, decongestants, or a combination of the two in either oral or nasal spray forms. Some of these may even be the same medications, but under a medical prescription authorization, the concentration of the key ingredient may be changed. Prescription oral decongestants are normally the same as the OTC types except they may be dispensed at a different dosage and are often combined with other chemicals (such as antihistamines) that are prescriptive. For example, Allegra-D is a prescriptive formula containing time released fexofenadine and pseudoephedrine. A different approach to allergy control that may also reduce nasal congestion is an oral medication known as a leukotriene receptor antagonist. Montelukast also known as Singulair is designed to prevent and manage asthma and also relieve symptoms of seasonal allergies including nasal rhinitis or nasal congestion. Side effects from these medications are rarely serious but may include a burning or stinging sensation in the nose, altered taste sensation, nosebleeds, nasal perforations, and (rarely) slowed growth of children. Medicinal treatment options costs are as varied between medications as well as their purchase location. In addition, generic medications generally are cheaper than name brands, if the generic version is available. If you suffer nasal congestion that lasts longer than two weeks or that does not respond to normal OTC medication, it is best to seek professional medical advice. Only your doctor can make an accurate diagnosis of the underlying cause of your nasal congestion and recommend the corrective action necessary to relive the situation. People who suffer from anemia do not have enough red blood cells for the body to function properly. Red blood cells are responsible for transporting oxygen from the lungs to other parts of the body. When there is iron deficiency, the body does not produce enough red blood cells for this vital function. Some people do not consume enough iron rich foods, specifically meats like beef that are good sources of iron. Failure to consume adequate amounts of foods with iron can be the result of not being able to afford healthy foods or not being knowledgeable about what makes up a healthy diet. When there is not enough iron in the blood, an individual is known as have iron deficiency anemia. Anemia is known by other names such as iron poor blood, or tired blood. Males and females of all age groups and races are susceptible to anemia. Children who are under two are also at risk because their diets don’t usually contain enough iron foods. 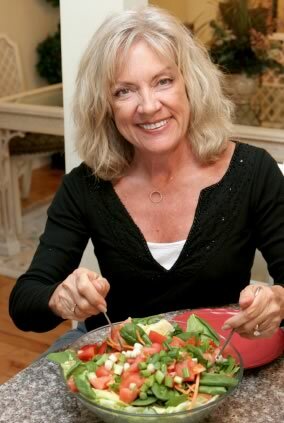 Those of other age groups who fail to eat iron-rich food may find that they suffer from anemia. The group most at risk for anemia is women who are of childbearing age. Menstruation is the primary reason for this group being at risk. For some women menstrual periods result in the loss of much blood which affects the level of red blood cells in the body. People with chronic illnesses such as kidney problems, cancer, diabetes and related conditions are at a higher risk for developing anemia. People with anemia often have unusual cravings otherwise known as pica. Pica is defined as eating non food items like paper, dirt, ice grass, paper and other items. It is not unusual to observe adults with pica chewing on unusual items. Young children with pica exhibit similar behaviors. The may be no symptoms in some people who have anemia. A physician may ask questions about a family history of anemia to determine if an individual might be at risk. A complete physical is usually needed to diagnose anemia. This includes a rectal exam or vaginal exam if deemed necessary to determine if there is any loss of blood. 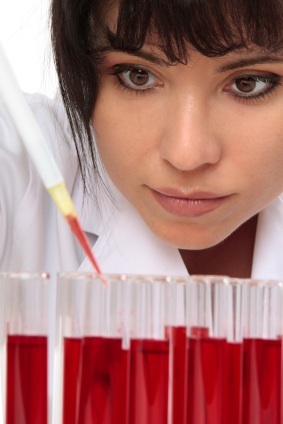 One test that is usually given to diagnose anemia is a complete blood count. The CBC measures the number of white blood cells to determine if there are problems with the blood or if the body is fighting off infection or immune issues. The complete blood count test checks hemoglobin, a protein that carries oxygen in the bloodstream and the hematocrit, which is a measure of how much space blood cells occupy in the body. If these numbers are low, that may signal that an individual has anemia. Hemoglobin electrophoresis is an additional test that might be ordered. This test measures the different types of hemoglobin in the blood. This helps the physician determine what type of anemia a person may have. Another test that might be recommended is a reticulocyte test that measures whether bone marrow is making red blood cells as quickly as needed. Iron tests including the serum ferritan and serum iron test can be used to determine the amount of iron in the blood. All of these tests are helpful when a physician is evaluating a patient for anemia. There is not one specific cause of anemia. Some causes are associated with heredity, while others are related to diseases, hormonal changes and other conditions that result in either not enough red blood cells being made or red blood cells being depleted. Diets with little to no iron, folic acid (folate), or vitamin B12 can result in the body not being able to produce enough red blood cells. Other nutrients that help the body make red blood cells are copper, riboflavin and vitamin C.
When there is not enough of the hormone erythropoietin present the body is not able make adequate blood cells. Erythropoietin is what stimulates the bone marrow to produce blood cells; therefore not enough of hormone can lead to anemia. Cancer can damage red blood cells and cancer treatment can damage bone marrow and prevent it from producing enough red blood cells to carry oxygen. It is not unusual for pregnant women to have anemia due to changes that come with pregnancy. Increased plasma in the pregnant woman’s body can dilute red blood cells. There are other types of anemia that are not specifically associated with diet and cannot be correctly by taking supplements or eating healthy foods. Those anemias are the result of chronic conditions, medications and substances that affect the blood cells or heredity. In other situations, anemia can be caused by conditions that destroy too many red blood cells. Those with enlarged spleens often have a problem with losing too many blood cells. The job of the spleen is to rid the body of worn out red blood cells. When the spleen is enlarged, it removes more red blood cells than necessary. As a result the individual experiences the symptoms of anemia. Thalassemia is also known as Mediterranean anemia. With this type of anemia, there are fewer red blood cells and less hemoglobin the body than normal. Thalassemia can cause a person to feel fatigued. Other symptoms of Thalassemia include weakness, pale appearance, slow growth, shortness of breath, jaundice, irritability, dark urine, and protruding abdomen. The condition may not need treatment, but people with serious cases often get regular blood transfusions. The signs and symptoms you experience depend on your type and severity of thalassemia. Some babies show signs and symptoms of thalassemia at birth, while others may develop signs or symptoms later, during the first two years of life. Some people who have only one affected hemoglobin gene don’t experience any thalassemia symptoms. A healthy diet with iron rich foods can help persons with thalassemias, but if parents suspect that their children have the condition, they should take to child to a doctor for evaluation. Another type of anemia is sickle cell anemia. With this type of anemia, the body produces red blood cells that are shaped like a “C” of a sickle. The hemoglobin in these cells causes the sickle shape. It is difficult for these sickle shaped cells to move through the blood vessels. Sickle cell anemia is an inherited, lifelong disease. The sickle shape of the blood cells can cause them to clump together which results in pain and inflammation for those who suffer from sickle cell. Persons with hemolytic anemia lack enough red blood cells because the body destroys them. Certain hereditary conditions cause hemolytic anemia. Conditions such as infections, immune disorders can cause this type of anemia. 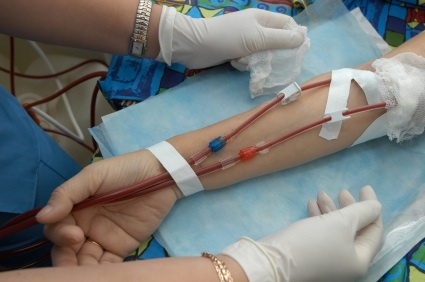 Additionally, blood transfusions and certain types of medications can cause hemolytic anemia. There can also be anemia due to B-12 deficiency. The body need Vitamin B-12 to make red blood cells. To boost the amount of B-12 in the body, healthy foods should be consumed. Meat, poultry, seafood, eggs, and dairy products are all sources of vitamin B-12. Vegetarians must be especially careful to get enough B-12 since those food that are good sources of B-12 would not be eaten. Vitamin B-12 anemia may also be seen in infants with poor diets and in pregnant women. When anemia is severe it can cause problems with the heart including rapid heart beat, enlargement of the heart and heart failure. Persons with severe anemia may need inpatient care to address the issue. Those with severe anemia may experience restless leg syndrome. The legs and arms can also swell when anemia is severe. Healthy eating can help prevent iron deficiency anemia. Getting adequate amounts of iron rich foods each day can help improve hemoglobin. Consuming enough iron can help an individual feel more energetic, improve resistance to infections and increase children’s ability to grow and learn. Try to consume at least three or more good sources of iron every day. Foods that contain iron include liver, lean meat, fish, poultry, dried beans and peas; green leafy vegetables, raisins, tofu and whole wheat bread. Eating foods that are fortified with iron is another way to add iron to the diet. These foods include iron fortified breakfast cereals and enriched breads and grain foods. Meats contain heme iron which is easier for the body to absorb and use. When eating iron fortified foods, combine them with a source of vitamin C to help the body use the iron from these foods more effectively. When eating iron rich food does not provide enough iron, a doctor may recommend supplements. Iron supplements should be taken only at the advice of a healthcare provider to prevent taking too much. Too much iron can lead to iron poisoning with symptoms of fatigue, nausea, dizziness, weight loss, headache and shortness of breath. When taking iron supplements choose those that provide no more than 100 percent of the daily value of iron. If you need more, your health care provider will prescribe a supplement. 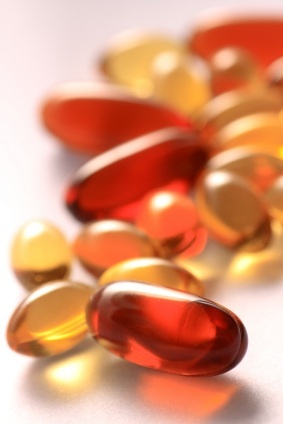 Women of childbearing age are usually prescribed prenatal vitamins with iron. Scabies is a type of skin infection caused by the sarcoptes scabiei mite, characterized by skin itching. Also termed “sarcoptic mange”, the term scabies is actually derived from the Latin word for “scratch”, scabere. The tiny mites burrow within the skin, causing an allergic reaction which in turn leads to a rash and acute itching. Worldwide, there are an estimated 300 million people infected with scabies at any one time. An ancient disease, scabies is thought to be over 2,000 years old. Historians speculate that references to scabies are found in the Bible as well as the writings of Aristotle. The mite affects humans regardless of age, gender, socioeconomic status, or race. Personal hygiene is often not considered a factor in scabies, although washing contaminated items with hot soap and water can often kill the mites. Scabies occurs when female mites burrow into the human skin to lay eggs, creating tunnels underneath the surface. The mites feed on human skin and deposit their eggs waste products, which further exacerbate itching. The eggs, over the course of three to four days, hatch into larvae, which further infect the skin and live on the human host for three to four weeks inside the skin. The scabies feed on the blood of the host to survive, and further burrowing in the skin. The allergic reaction humans have to the mites’ salive, waste, and eggs cause the deep seated and persistent trademark itching of scabies. Scabies is transferred via skin to skin contact from one human being to another. There have been cases where humans contract scabies from their pets, such as an infected dog or cat, but such occurrences are rare. Highly contagious, scabies mites can live in infected bedding, furniture, mattresses, clothing, keyboards, towels, and literally almost any surface where an infected human’s skin may have rubbed off. Additionally, scabies can survive without a host for up to three days. Once they have infected a human host, the parasitic mites can live anywhere from three to four weeks. The most common way of contracting scabies is from prolonged physical contact with an infected person. While patients have been known to get scabies from infected bedding or clothing, this is less common. Prolonged physical contact usually means skin to skin contact with an infected person which lasts longer than the average handshake. Scabies often becomes a problem in areas where people exist in close quarters, such as nursing homes, summer camps, or schools. In these environments, one infected individual can spread the disease to anyone he or she comes in close contact with. The type of scabies that affects humans is different from the mite that infects dogs and cats. Humans typically cannot be infected by the same type of scabies mite that affect pets. Scabies can exhibit clinical symptoms and external signs from four to six weeks following the initial infestation for patients who have not previously contracted the disease. In cases where patients have previously contracted scabies, symptoms can develop in as quickly as two to four days. Once patients have exhibited symptoms, several methods can be used to diagnose the symptoms as scabies. Ink from a pen or topical tetracycline ointment can both be rubbed onto the surface of the skin, then wiped off with an alcohol pad. A special light is then shown on the skin; if the characteristic Z pattern appears under the light, the person has scabies. Another method of diagnosis is to do a skin scraping and examine the specimen under a microscope for presence of mites or their waste. Detecting the presence of mites can often be very elusive, and doctors may have to do numerous skin scrapings in order to effectively rule out or confirm the disease. The skin scrapings must often penetrate several layers of skin in order to correctly test for the presence of mites. Doctors have been known to order treatment for scabies even if microscopy and other detection techniques do not completely verify the infection. Due to the difficulty of detecting mites under a microscope and sometimes unconfirmed external presence, patients who exhibit the majority of symptoms for scabies are best served undergoing treatment as a preventative measure even if skin scraping or skin tests do not precisely confirm presence of the mite. In patients with compromised immune systems such as HIV, AIDS, or auto immune deficiency, healthcare providers should be alerted immediately to the possibility of scabies. Secondary infections can occur as complications in these patients who contract scabies, as well as increased likelihood of acute infection. Sulfur soap in concentrations of 6% to 10% is a long standing treatment to combat scabies. Patients should wash thoroughly with sulfur soap at least once daily for four days in order to effectively treat the skin. Bedding, clothing, and any other items should be washed in extremely hot water and soap to prevent recontamination. Along with sulfur soap, Neem Oil is another effective homeopathic treatment for scabies. Neem Oil is known to have anti fungal and antibacterial properties, which can help treat or soothe the skin of patients infected with scabies. Tea Tree Oil has been used but with only moderate to little success. For this reason, prescription medications are often warranted for treatment. One of the most commonly prescribed topical treatments for scabies is Elimite, a cream that must be applied to all areas of the skin (including under the fingernails and toenails) to effectively penetrate the epidermis. Elimite is topically applied all over the infected individual’s body, taking care to cover all surfaces of the skin. After 10 to 14 hours, the Elimite is washed off of the skin in the shower with hot water and soap. 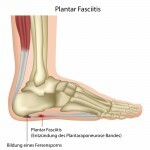 A follow up treatment is usually required one to two weeks after the initial treatment. Permethrin is another popular topically applied medication for the treatment of scabies. The ointment is applied at night and washed off after eight to fourteen hours. A newer treatment for scabies is an oral medication Ivermectin, taken twice: once at onset, and then another dose two weeks later to completely eradicate the infection. While Ivermectin has some mild side effects, these disappear after treatment and are typically a minimal trade off compared to the uncomfortable constant itching of scabies. Ivermectin is sold as Stromecol in brand name, and is typically given as two 3mg doses two weeks apart. 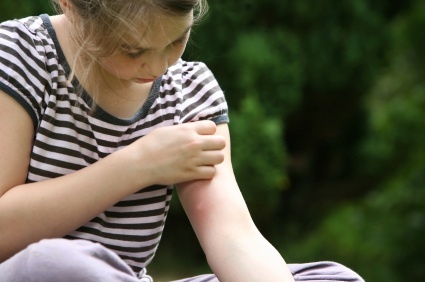 Antihistamines may also be prescribed to combat the itchiness that often accompanies scabies outbreaks. All items the infected person has touched- bedding, clothing, towels, etc – should immediately be washed in very hot water to kill remaining mites. A dryer should also be used on a high heat setting to sterilize washed items. Mattresses, carpets, rugs, toys, and any other items that the infected person has touched should be thoroughly disinfected and washed. Carpets and floors should be steam cleaned whenever possible. Tile, hardwood, kitchen, and bathroom floors should be washed with hot soapy water and bleach. This regimen of household disinfecting should be performed on a daily basis until the scabies outbreak has been confirmed as cured by a healthcare professional, and on a routine basis for several weeks after to prevent re-infection. Due to the highly contagious nature of scabies especially in close quarters, doctors frequently recommend treating the entire family for scabies even if only one member has contracted it. Given the propensity of the mite to spread and populate bedding, furniture, clothing, and other areas, it is highly likely that if one member of a family has scabies, other members either already have it or will have it shortly. Therefore, treating all family members for scabies at the same time is an effective method at preventing continual re-infection. Care must be taken to ensure that once all family members are treated, scabies does not return and continue to re-infect members of the family. This requires a diligent household cleaning routine during and after treatment as the entire house must be disinfected in order to eradicate the outbreak. Treatment for scabies is relatively inexpensive compared to other skin ailments. A 60ml tube of Elimite retails at around $35; sulfur soaps are much less, at an estimate $10 a bar. An 8oz bottle of Neem Oil has a comparable cost to sulfur soap. There is no vaccine against scabies. Therefore, the best way to prevent scabies is to avoid prolonged contact, or any contact, with people infected with scabies. If scabies contact is suspected, any bedding, clothing, towels, or items the infected person may have touched should be immediately washed in very hot water and soap. Adding a small amount of borax to laundry can also be helpful. Rugs and floors should be steam cleaned and vacuumed. Permethrin sprays are often used to treat items or areas that cannot be laundered. A synthetic chemical and pesticide, care should be taken when using Permethrin around infants and pets. The EPA has also categorized Permethrin as a carcinogen in extremely strong concentrations. For household use, however, Permethrin sprays can kill scabies mites, dust miles, fleas, termites, and ticks. Borax powder is natural remedy than can be sprinkled on carpets, floors, and other areas of the house to prevent and kill mites. While natural, boric acid can still irritate the skin in some individuals and animals, so caution should be used when applying.